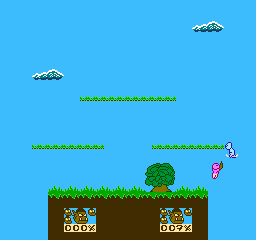 Super Tilt Bro is a demake of the Super Smash Bros. series compatible with the good old Nintendo Entertainment System from the 1980s. You and a friend take control of a clone of Sinbad, the badass mascot of Ogre3D. Two fellows, one platform: you will have to fight to throw the other out. You can follow the development on my Twitter @RogerBidon, on Smashboards or directly fork it on github. You can use different moves by holding a direction when pressing the attack or special move button. 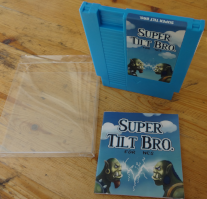 Physical copy of Super Tilt Bro. 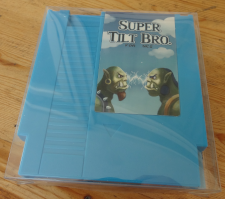 An actual cartridge that you can put on your NES and play! 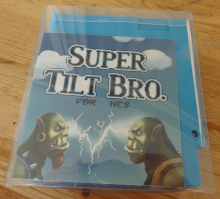 Contains a cartridge with the game and a manual, wrapped in a transparent dust-sleeve. Minimal price includes production costs, shipping fees, a 10% donation to itch.io and around $10 for the developer. Awesome game but could you please add a few screenshots to the page? Thanks. Just added some screenshots. Interestingly itch io shows games screenshots for html5 games only on mobile. So, I integrated new screenshots in the game's description, hoping the page is improved. Thanks a lot, keep up the great work! Awesome game, I love the animations and the music. It really gave me a sense of improvement. Is there any game play difference between the different weapons and characters? This is a really good game, can you give me some tips? 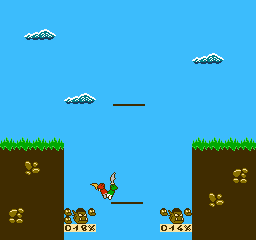 i want to makes games, just like this one! Do it for the fun of doing it. Begin with the part that you enjoy the most, be it graphics, programming or music. Choose some tools you want to learn, it is more rewarding than using tools you already know. Work on your project bit by bit, your first iteration will be weird prototypes. 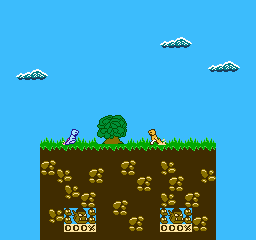 After some time the prototype will become somewhat playable, then pretty decent to finally be a full featured game. Just never forget that the goal is not the finished game, it is to enjoy making it. Oh? What did you try? The ROM, the linux version or the web version? tip: the standard keyboard-layout for player 1 isn't suited for two-player, it's better if you 'split the keyboard in two'. that way the players won't get in each other's way. You may have to click "Reset to Defaults" if you already played the game and let the default suboptimal binding.